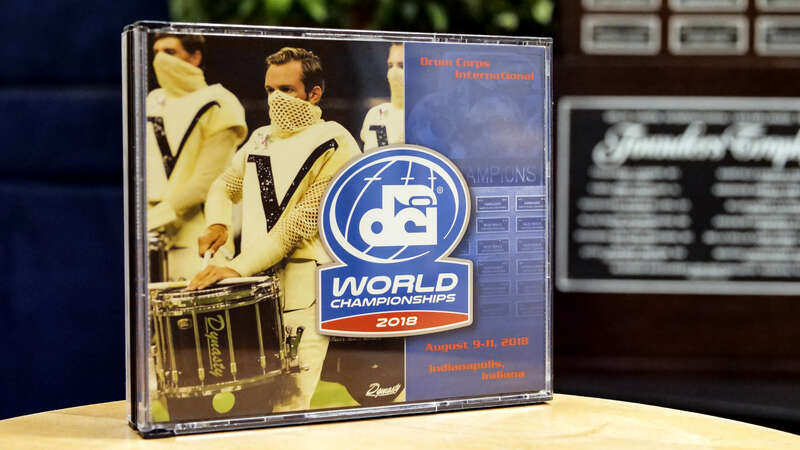 Drum Corps International released audio performances from the 2018 DCI World Championships today on CD and digital download. A four-disc CD set priced at $29.95 includes performances of the top-25 drum corps who competed at Lucas Oil Stadium during the DCI World Championships in Indianapolis this past August. In tandem with the release of the CD set, the same 25 featured corps performances are available through MarchingMusicDownloads.com. Audio downloads come in two formats including lossless AIFF files and 320 kbps, 44.1kHz MP3 files. Tracks can be purchased individually or as a complete bundle for $39.95. “As in previous years, we are currently working to add these performances to DCI’s digital collections on iTunes and Amazon as well, which we expect to become available on those platforms in the coming weeks,” said Jeff King, DCI director of operations. A two-disc Blu-ray set featuring the top-12 2018 DCI World Championship finalists is expected to be the next audio/video release in mid-December, though music licensing determinations may delay that timeline further.